Det är inte så ofta vi får en bild på en SidvagnsVincent, så när vi får en bild på två sådana måste den givetvis in på hemsidan. Jörgen R fick bilden av Dave J i England. 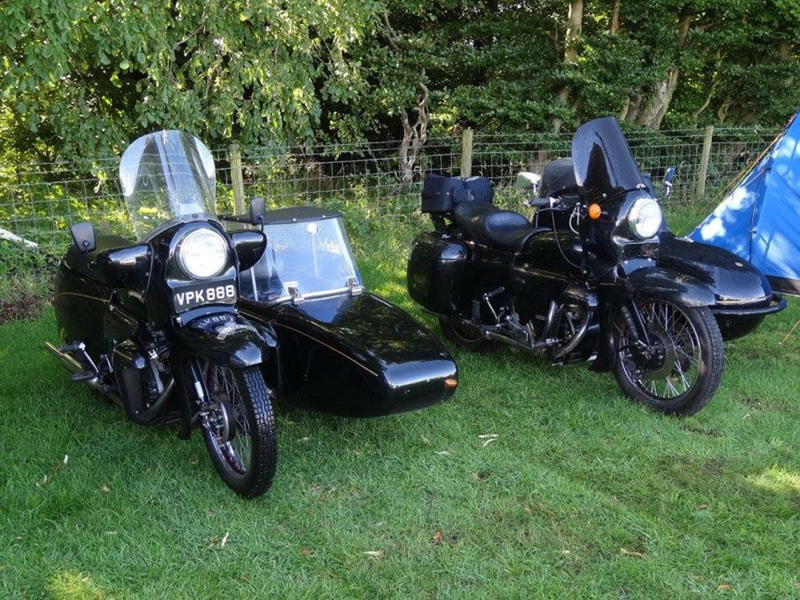 It's not very often that we get a picture of a Vincent with sidecar, so when we get a picture of two, we must of course find a use for it at our website. Jörgen R got the picture from Dave J in England.